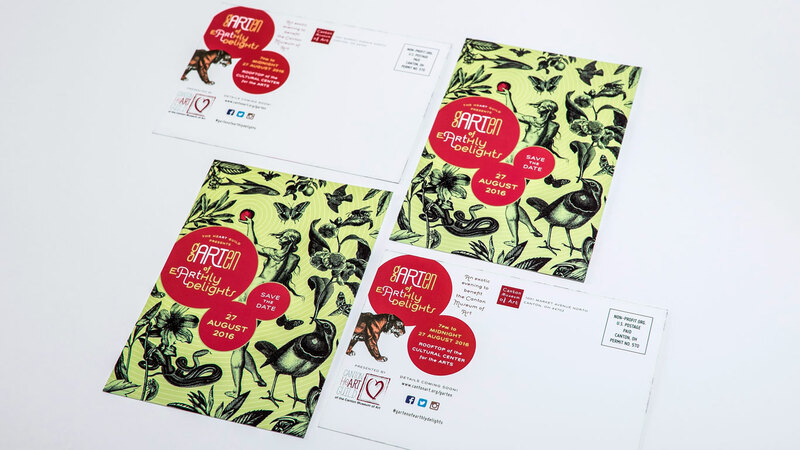 Once Cassel Bear had established the general look and feel of the event on the save-the-date, we were tasked with creating a few more marketing pieces for the Garten – a postcard, poster, and formal invitation. The postcard and poster had to be eye-catching since they’d be placed at businesses around town, on store windows, on counters, and in brochure racks. 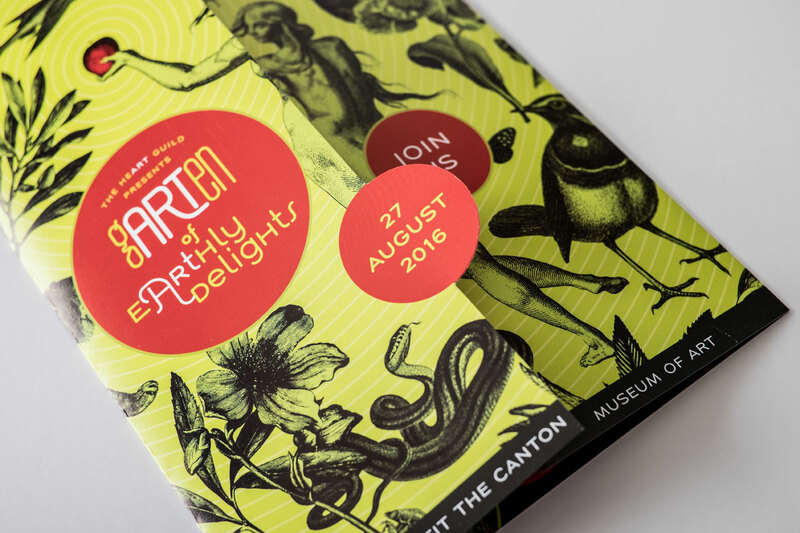 And the Museum staff wanted something a bit distinctive for the invitation, so we crafted an oversized, gatefold invitation that led with our imagery and then opened up to wondrous pictures and exciting information about the event. Each piece served to generate energy and attention for the fundraiser, which once again exceeded everyone’s expectations! 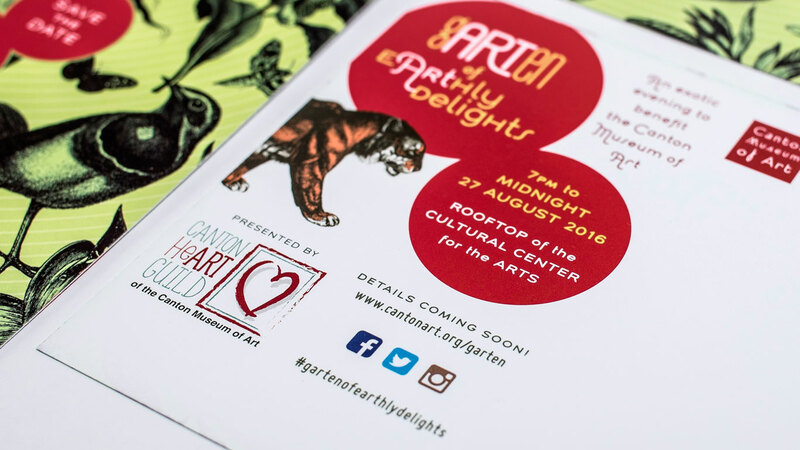 Last year’s GARTen of Good & Evil fundraising event for The Canton Museum of Art was such a success that the organizers decided to make it an annual affair. 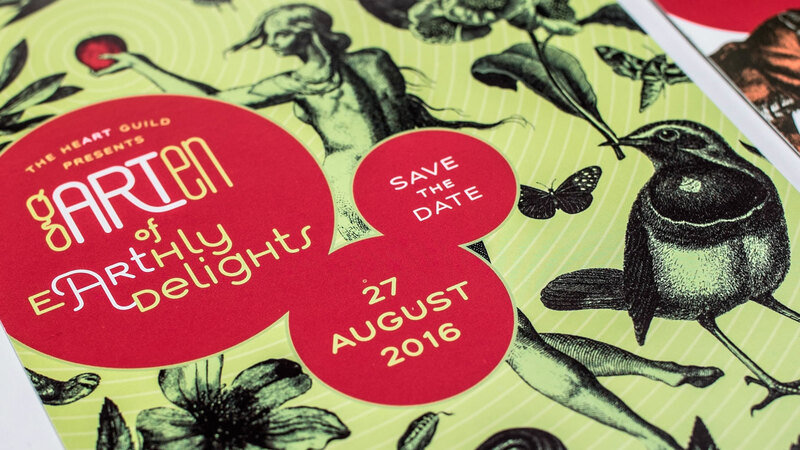 So they returned to Cassel Bear this year, armed with plans for 2016’s GARTen of EARThly Delights. 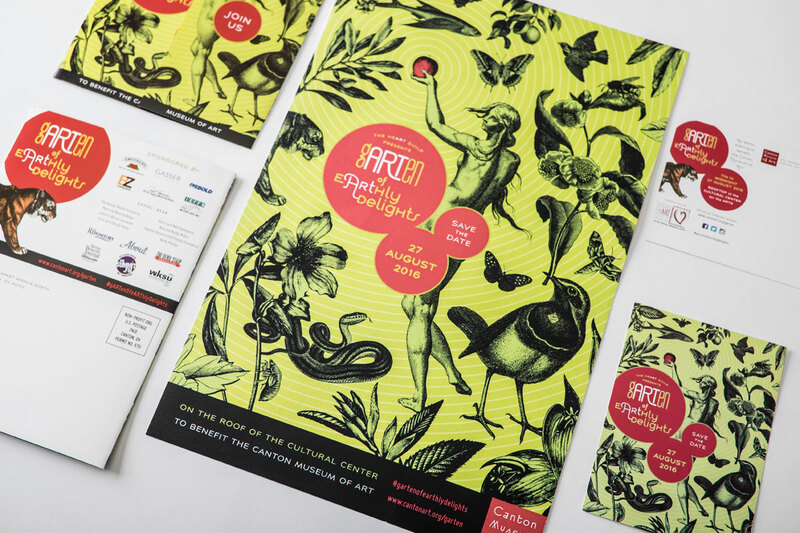 We determined that each event should have a distinctive feel, so this year’s Save the Date moved away from illustration and toward a visual style that juxtaposed older imagery (inspired by the paintings of Hieronymus Bosch) with more contemporary design elements and colors. 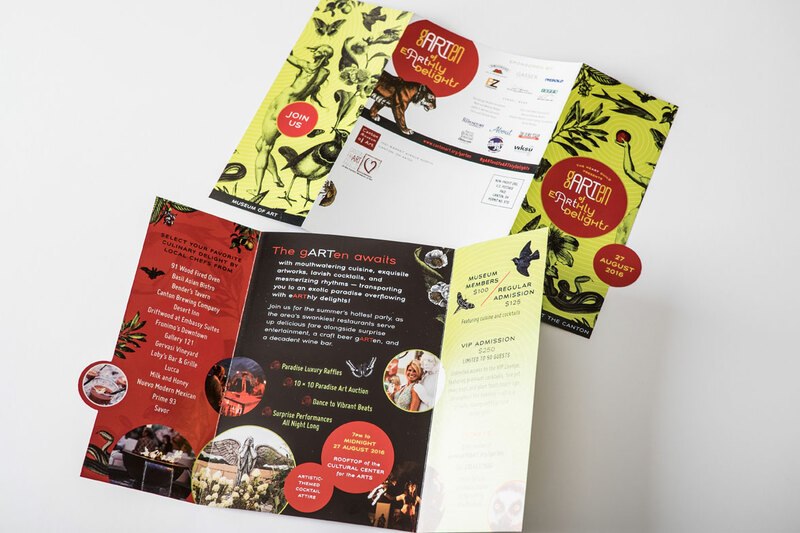 We also guided the client toward a more collage type feel, in contrast to last year’s unified central image. The result? An event brand that will soon find its way onto posters, invites, and much more. Stay tuned!